Leaked: 2018 JL Wrangler Clay Models and Roof Design! Some pictures that were captured at an FCA Friends & Family event of a 2018 JL Wrangler clay model have revealed and confirmed some details on next-gen Wrangler’s roof. Sent over to us by our friends at JLWranglerForums, images of this clay model reveal key design features of the JL roof structure, confirming previous reports on the 2018 Wrangler’s roof. 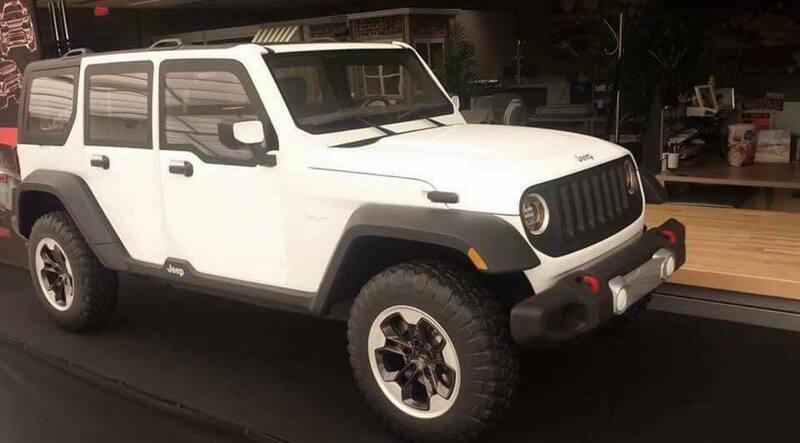 From the picture we saw of the clay model as well as what we reported on before, the 2018 Jeep Wrangler will have a three-piece Jeep hardtop that is removable in sections. It is a fixed roof structure that will have 3 large removable full-width panels, the first two which are over the first and second row of seats, and the third which is over the rear cargo area. This will allow the 2018 Jeep Wrangler to have a more expansive, open view of the sky, giving JL owners a full look at the world around them from the front seats to the rear cargo area. This will also allow for improved storage and provide you with the ability to transport more awkwardly shaped items in the cargo area. The current JK Wrangler uses a three piece roof design, two of which are separate panels over the front seats, meaning only two of the sections are able to open up the sky above. This is why early on we heard a lot of the language around the roof design of the JL being dubbed as a “true 3-piece” roof design. What are your thoughts on the 2018 Wrangler’s roof? Does this add to the design or make it less desirable? Comment your thoughts below! F*ck no! So freaking ugly. This is what the Jeep Renegade should look like. No tire hanging on the back (maybe under a la LR4) and I`d buy one or two.